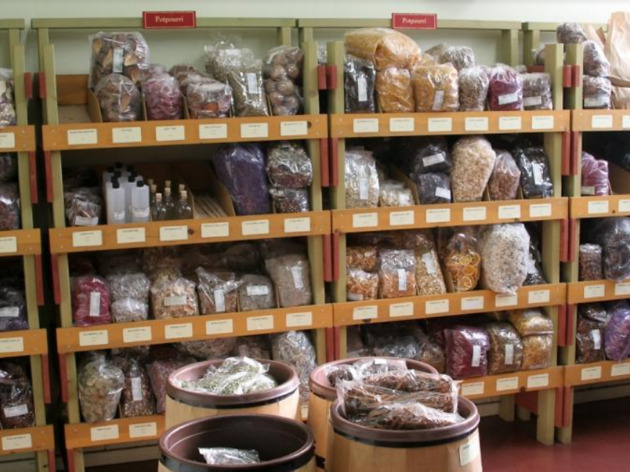 The simple name belies the sprawling assortment of gourmet goods at this well-appointed shop. It was opened by Neil Hanscomb in 1973 with the aim to sell high-quality products at reasonable prices. 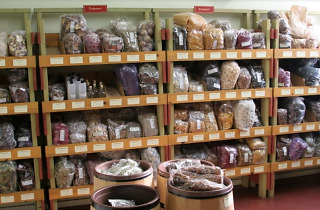 The wooden shelves lining the walls are packed with an endless array of organic herbs, cooking spices, dried peppers, specialty salts, dehydrated vegetables, flavoring, nuts, seeds, botanical roots and berries and more. It’s a great source for homeopathic remedies, including essential oils, botanicals and an endless supply of tea. Home cooks love it for the hard-to-find spices and blends. (The store gets particularly busy around the holidays, when customers stock up on seasonal ingredients like cinnamon sticks, fresh peppermint, star anise, and vanilla bean.) For the slightly less healthful, you’ll find high-end grains and distilling botanicals for at-home beer- and spirit-makers.